There is no defined cure for alcohol and drug addiction. However, a rehab facility offers patients the much-needed skills to manage their addiction and also remain sober. 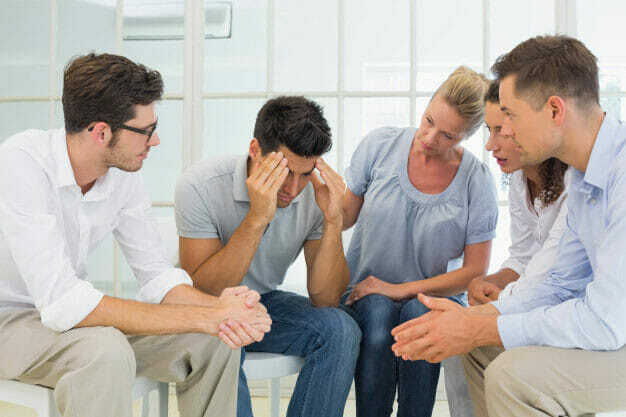 Even after completing the treatment at the facility, recovery from drug addiction is never over and the patients ought to work on their abilities to avoid relapse. A quality addiction program prepares patients for this particular process. Usually, people start to drink as a social activity with their friends. Although there is nothing wrong with that, but people who are disposed to addiction, get easily addicted. Having quality time with your friends is a great fun. When alcohol is added, you can elevate the fun. In fact, you may even become funnier than you are. Unfortunately, those feelings of euphoria easily become addictive and when you drink more to get to that level, the higher tolerance the alcohol gets. It gets to a point you feel you are not yourself without alcohol. When you try to stop drinking, you start experiencing withdrawal symptoms such as anxiety, hallucinations, confusion, and anxiety. Derbyshire is an amazing county that has a reputation as a center for innovation and industry. It is also a county of many contradictions. It is the home to Peak District National Park and a two-hour drive from cosmopolitan cities of Sheffield and Manchester. It is also the home to the country’s oldest pubs and Derby is the UK’s capital for innovation. Residents can enjoy climbing, biking, and walking. Derbyshire like other counties faces rising levels of alcohol and drug addiction. What type of treatment facilities is available? Rehab Healthcare clinics offer therapeutic treatment programs and detox programs that are approved. We provide 24/7 nursing care services supervised by doctors, psychiatrists, therapists, and nurses in conjunction with our multiple therapeutic modalities. At Rehab HC we believe that family and friends involvement is quite important to successful recovery. Thus, we include family programs, educational sessions, expressive therapies, and therapy sessions. What you expect is dependent on the program of the rehab you enrolled in. A doctor will prepare a personalized treatment plan for you that include detox, therapy sessions, and extra-curricular activities. The treatment plan will define out the goals and provide information about aftercare services that are available. You are also expected to participate in routine group-work sessions with the other residents, various tasks around the house and accessing leisure facilities. You will also be provided with ‘reintegration’ support around your education, training, employment, and housing needs. You can contact us today to get information about types of programs we have. What happens after I finish my Rehab? Once you have been through the type of structured treatment, you need help to stay sober in the community. Therefore, Rehab HC will provide with aftercare services. For instance, patients can get the drug-related support that includes extra, less intensive support from the community services to help prevent relapse. Also, there is the non-drug related support that can help improve your life and stay sober. A customized plan will be developed before you leave the facility. We will ensure you get the right form of support. You can call us today on 0330 113 2627 or email us at help@rehabhc.co.uk or complete the inquiry form.